Pawar Travels provides our customers the Best Local Cabs Services in Pune which include cheapest pick up and drop facility next to your door steps. 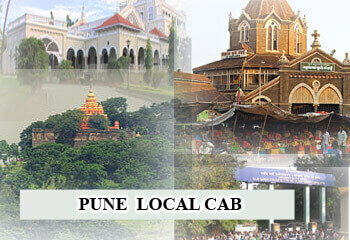 We provide cabs for all kinds of local cab needs which include taxi in airport Pune , Pune airport drop and pickup. We specialize in Local places that includes top 10 sightseeing places to visit pune that includes local cabs pune city for the following well known palces. which is known as the grand aga khan palace built in 1892 which is memoraial to mahatma Gandhi. Shreemant Dagdusheth Halwai Ganapati Temple which is located. Pune is dedicated to the Hindu God Lord Ganesha. The temple is most popular and is visited by thousands of pilgrims every year during the festival of ganpati. Parvati Hill is a Hillock place pune Maharastra .The hillock rises upto 2,100 feet above the sea level it the best location . The Pataleshwar cace temple is a rock cut cave temple of the 8th century in thr Rashtrakuta period. it is located in katraj and is managed by the municipal corporation. the sinhagad fort was previously known as kondhana ,and has been the site of many important battles in the history. it is a Dam situated on mutha River. This dam is one of the main Sources of water for Pune. it is a Hindu temple pune which is located on the slope of a hill. Pawar Travels Provide local cabs in pune And much more intresting and worth watching places we provide our customers cab service pune for monthly basis also. As our travel agecy office is situated near pune airport we provide customers a fast and a quick pick up & drop cab fascility.